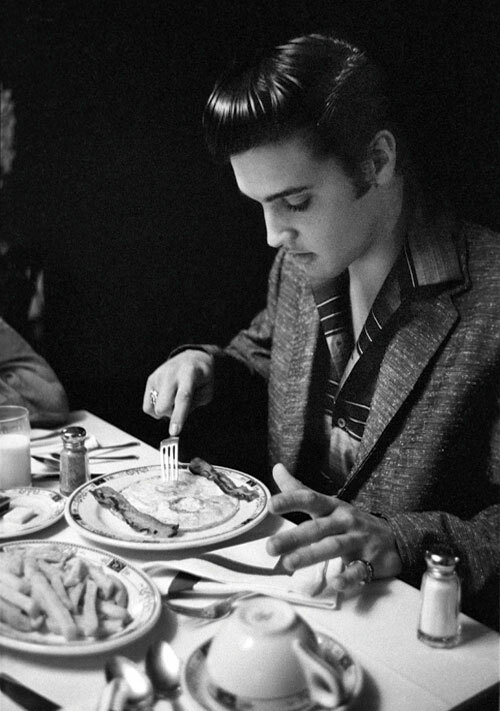 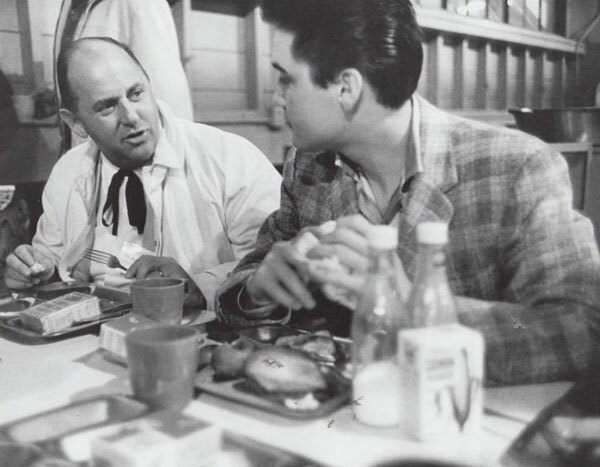 Elvis having breakfast with Colonel Parker at Fort Chaffee in March of 1958. Three shots of The Beatles eating breakfast together. 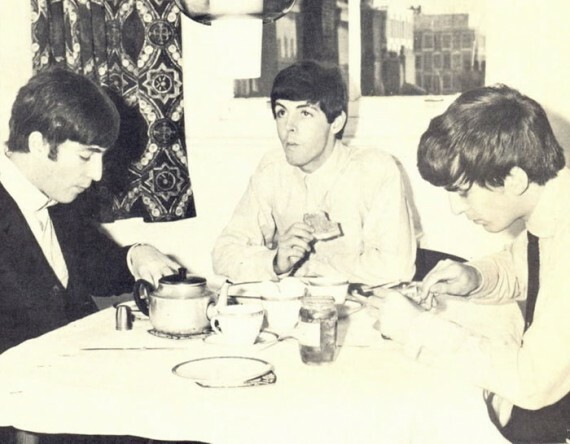 Paul McCartney, John Lennon and George Harrison sharing the breakfast experience. John Lennon eating breakfast in Tokyo in 1966 (Photo: Robert Whitaker) and four images of Lennon having breakfast in Amsterdam during his famous bed-in for peace in March 1969 (Photos: Nico Koster). 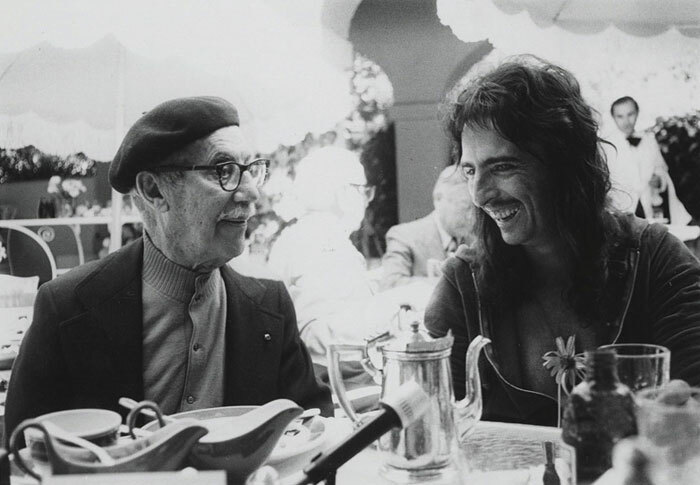 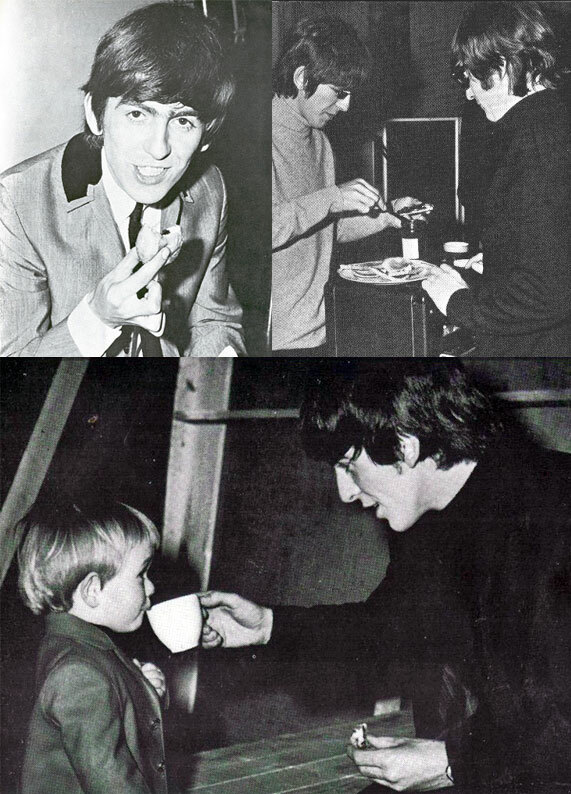 George Harrison eating a donut, spreading jam on toast and sharing coffee with a minor. 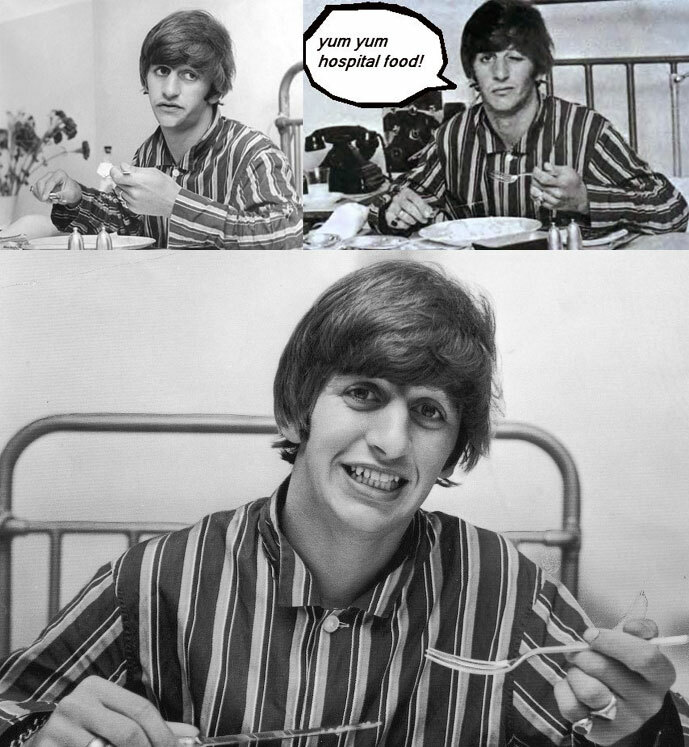 Ringo Starr having breakfast in the hospital in 1964. 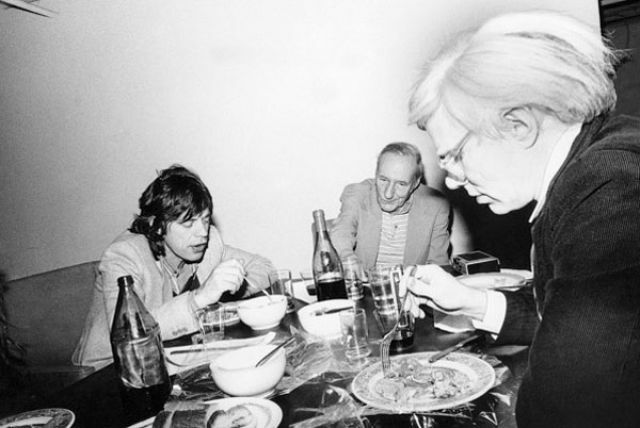 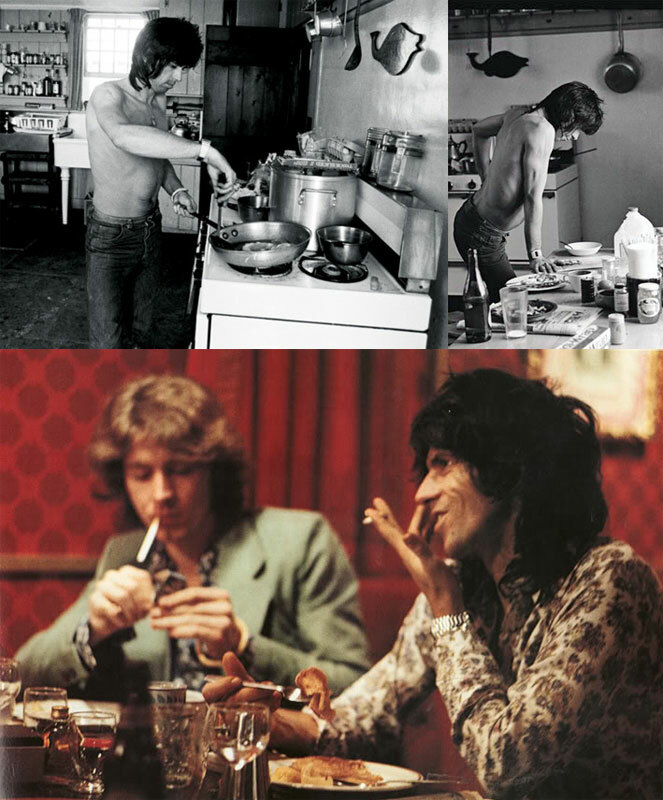 Mick Jagger chowing down in 1965 and sometime in the mid 70’s. Keith Richards making breakfast in 1975 at Andy Warhol’s house in Montauk, NY (Photo: Ken Regan) and Richards eating pancakes with Mick Taylor in Manchester in 1973 (Photo: Laurens Van Houten). 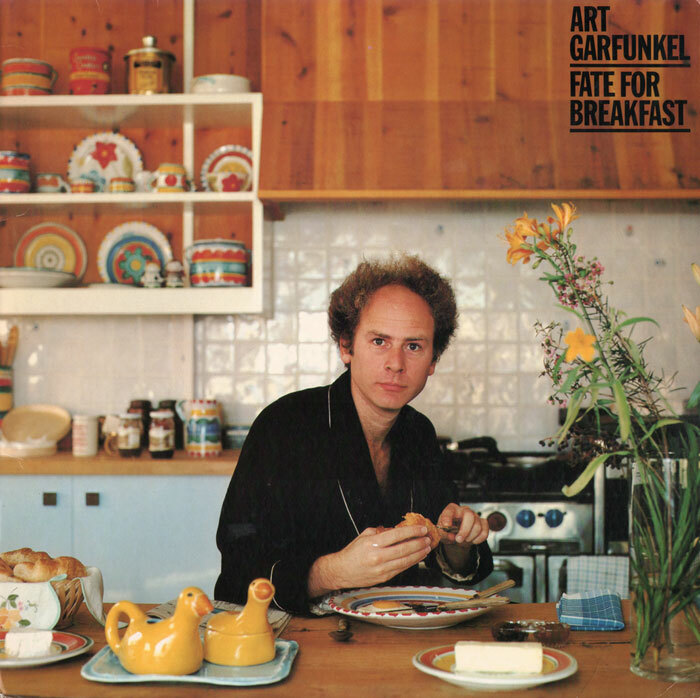 How does a sleepy Bob Dylan perk up in the morning? 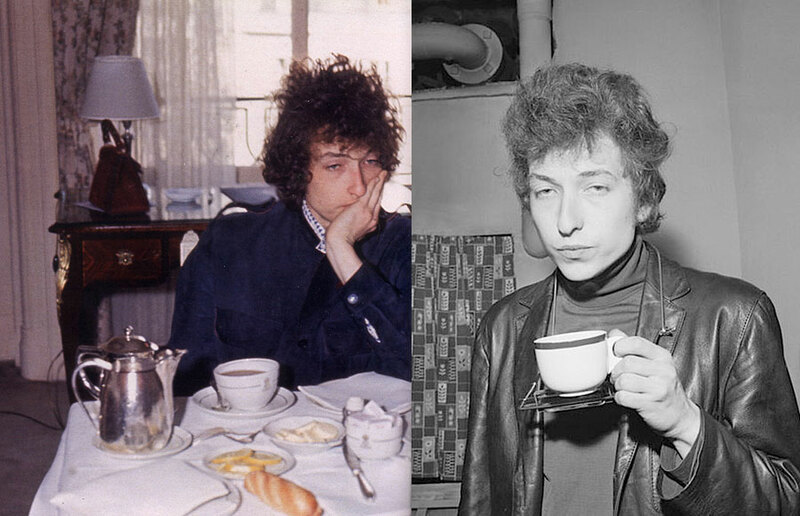 The answer, my friend, is… coffee. 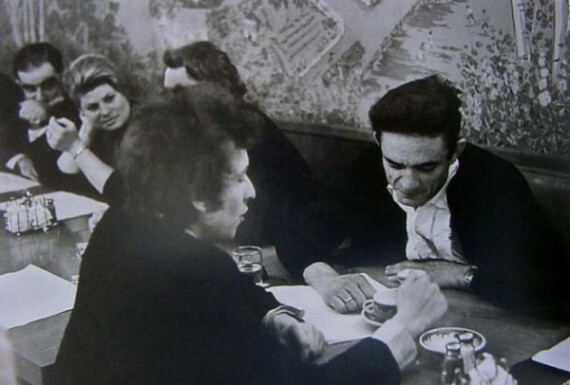 Bob Dylan in a diner with Johnny Cash. Dylan’s coffee suggests they may be about to have breakfast. 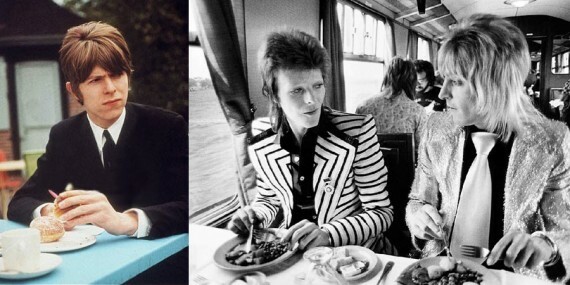 David Bowie eating a donut early in his career and having a full English breakfast (I think) on a train with Mick Ronson in 1973. 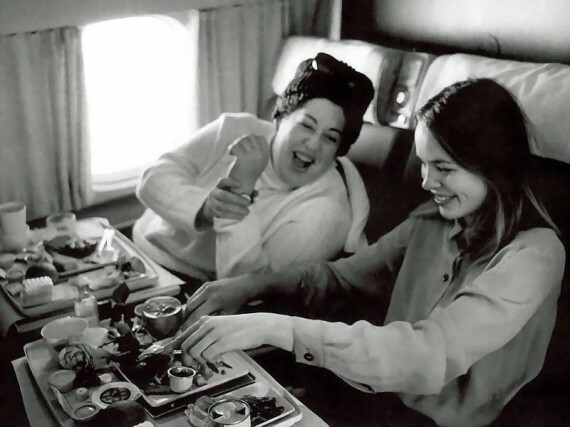 “Mama” Cass Elliot and Michelle Phillips of The Mama’s And The Papa’s having some in-flight breakfast and a few laughs. 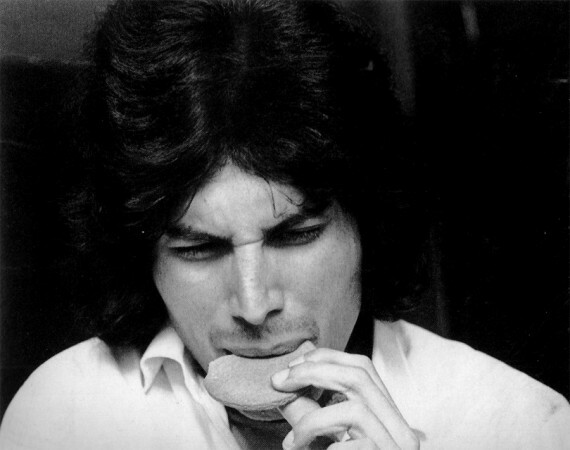 In all likelihood, Freddy Mercury of Queen is just eating a biscuit (British cookie) in this picture. I really like Queen and wanted to include a picture. 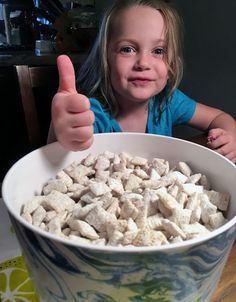 So let’s assume that it’s a Quaker Breakfast Cookie or a BelVita breakfast biscuit. 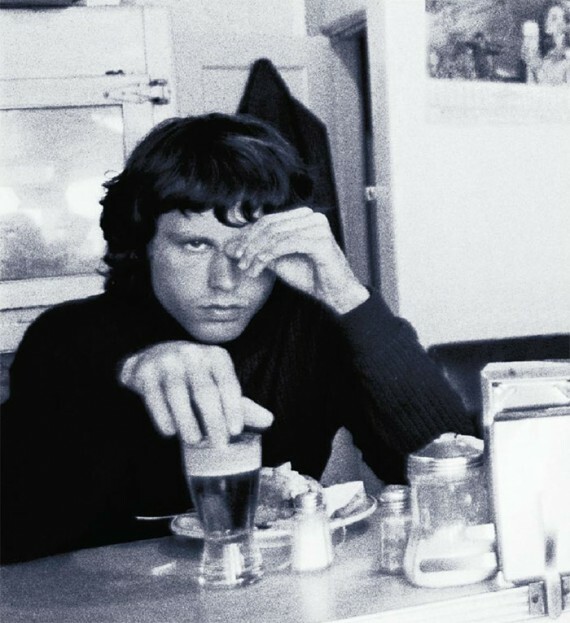 This photo was taken at the Ealing College of Art around 1969. 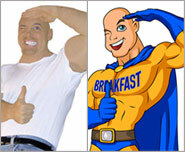 “The Corn Flakes Series” by photographer Bobby Grossman. 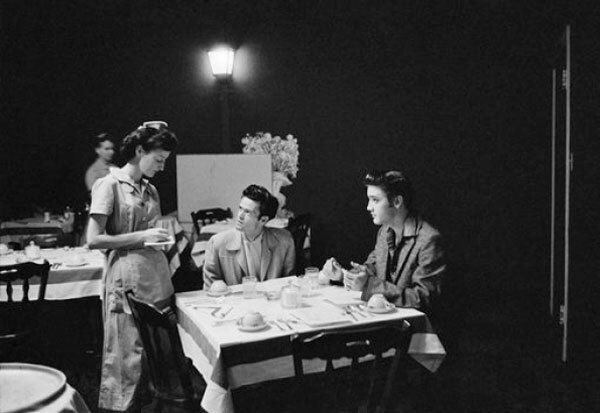 Here we see David Byrne of the Talking Heads, Debbie Harry of Blondie and David Johansen of The New York Dolls. 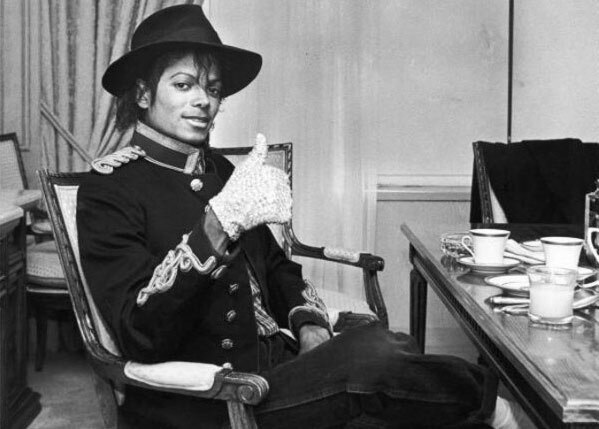 Michael Jackson gives a thumb-up to breakfast circa 1984. 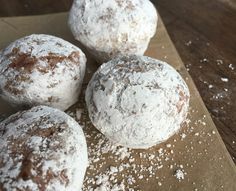 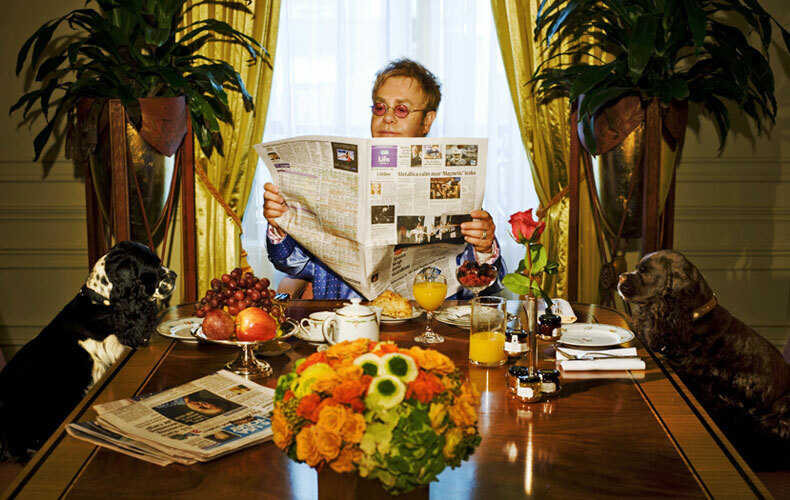 Rod Stewart enjoying breakfast at Le Pain Quotidien in Studio City, Los Angeles (more) and having coffee and croissants with his family on the French Riviera (more). Bonus: Jennifer Lopez being fed a donut (more), Justin Bieber eating bacon and Rihanna having fruit. 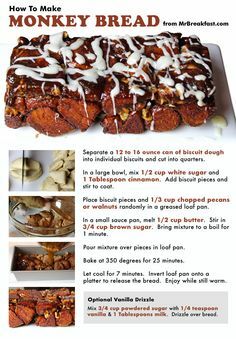 I listen to a radio show called “Breakfast With The Beatles” on sunday mornings. 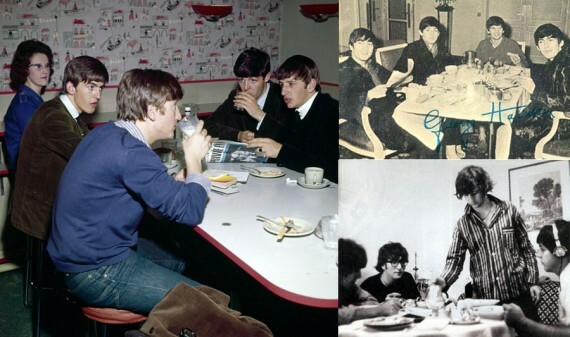 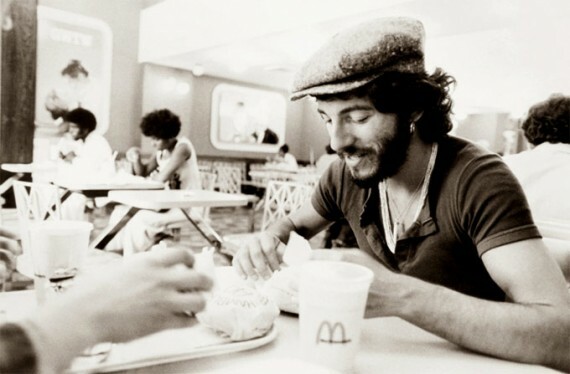 You should let them know about this… Breakfast With The Beatles, literally. 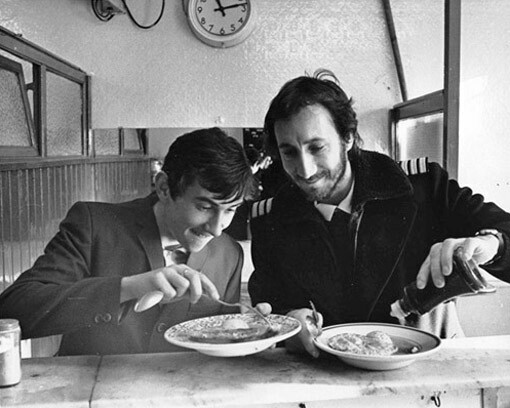 And Pete Townshend and Phil Daniels are actually eating Pie ‘n’ Mash. 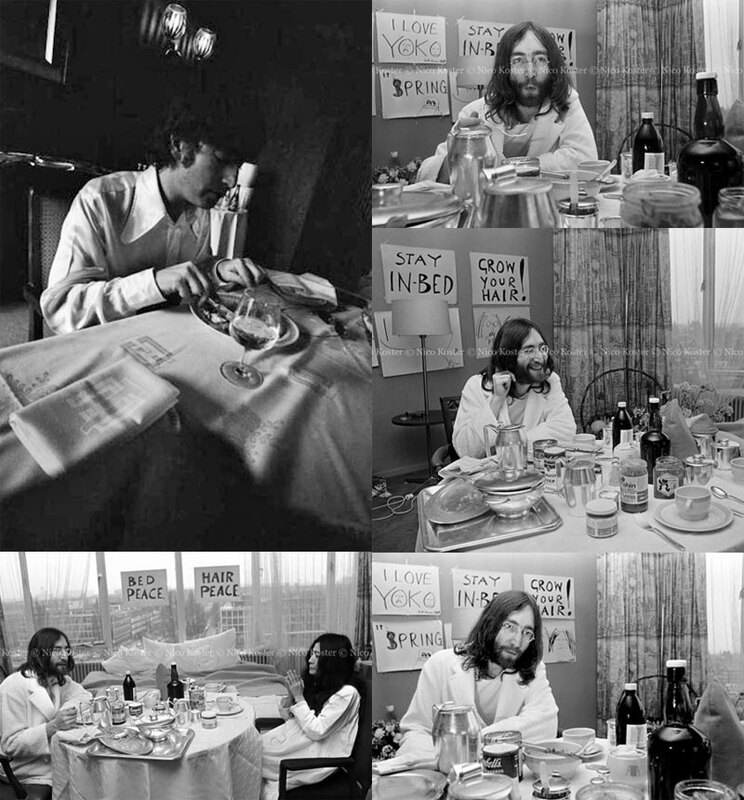 Lennon’s “Good Morning Good Morning” was directly inspired by the classic Corn Flakes radio adverts, fyi. 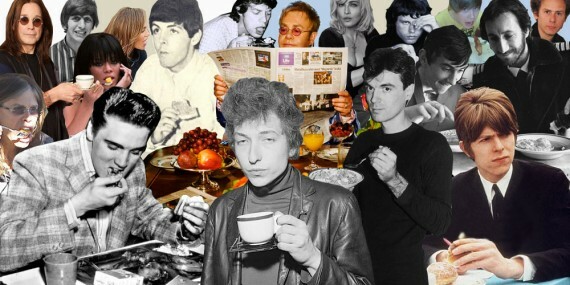 I don,t think that is ” Madonna seductively peeling fruit in a low-cut top” Look’s more like Debbie Harry of Blondie.